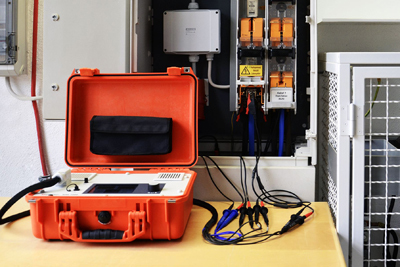 By using a user selectable test current from 80 A up to 1,000 A, the new Megger NIM1000 network impedance meter allows users to make accurate loop impedance and fault current measurements on live circuits, close to the source of supply, even in large electrical installations such as those found in major hospitals and on big industrial sites. Depending on the earthing configuration of the network, the instrument also uses multiphase measurements to calculate the impedance of the neutral conductor, enabling it to reveal defects that could have major safety implications. In addition, the NIM1000 has a current ramp feature that can be used to trigger load-sensitive and neutral faults, thereby exposing weak points in the supply network. It can also analyse the complex impedance of the network up to the 10th harmonic to determine how it will perform with electronics loads, such as variable speed drives, which generate high levels of harmonic currents. The versatile NIM1000 measures the complex loop impedance of the live supply network under real-world conditions, down to 1 mΩ resolution. It can resolve absolute loop impedances or break the measurement into the real and imaginary components, for example - resistive and reactive. This is especially useful near to the supply transformer where loop impedances are mainly inductive and ignored by many ordinary loop impedance testers. Megger’s NIM1000 network impedance meter is equally suitable for single- and three-phase applications. It can be used to make single measurements, multiple measurements with averaging or automatic long-term measurements. Users can define their own test sequences, based either on a preset time frame, or on a specific number of tests. Built into a rugged enclosure with a hinged protective lid, and supplied complete with four Kelvin clamps and 3 m test leads, the NIM 1000 is compact and easy to carry. It features a large colour display screen that presents results both graphically and numerically, and it has a large internal memory that can store a minimum of 1,000 test records. Stored records can either be recalled to the display, or transferred to a PC for further analysis using a standard USB memory stick. 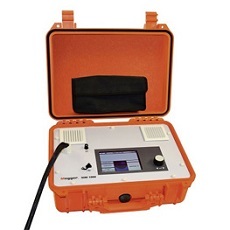 Learn more about the NIM1000 network impedance meter.